There’s no denying it, nothing can invigorate a boring outfit quite like a great pair of eye-catching sculptural heels. As high-fashion luxury houses and small brands alike strive to (quite literally) take footwear to new heights season after season, statement shoes designed with a structural slant continue to dominate for Fall 2018. 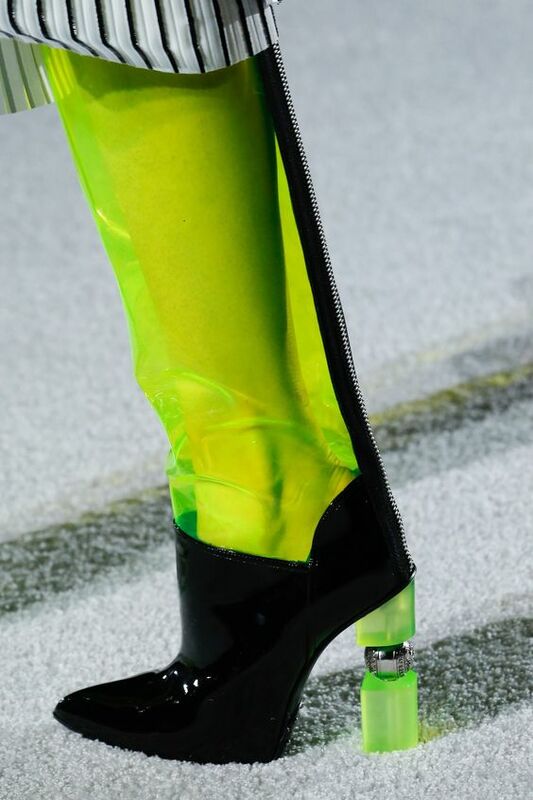 From prismatic shapes at Prabal Gurung and Jacquemus and elevated lucite hybrid iterations at Balmain and Neous to singularly graphic silhouettes at Solace London and Prada, the following styles will surely top your Fall shoe fantasy wish list. Move over ugly sneakers! 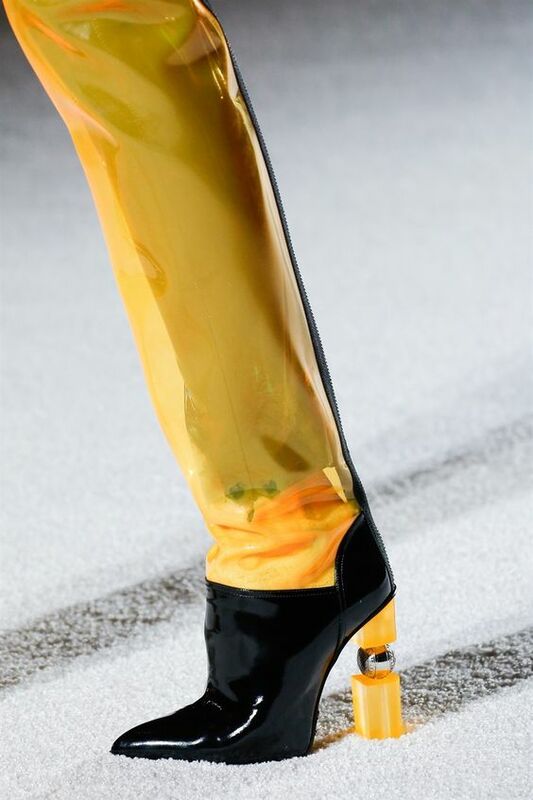 Spotted on the Prabal Gurung Fall-Winter 2018 runways, almond-toed pumps, strappy sandals, and ankle boots rendered in punchy colorways and fuzzy textures, recalled mid-century refinement set atop geometric cubical and cylindrical wooden block heels. 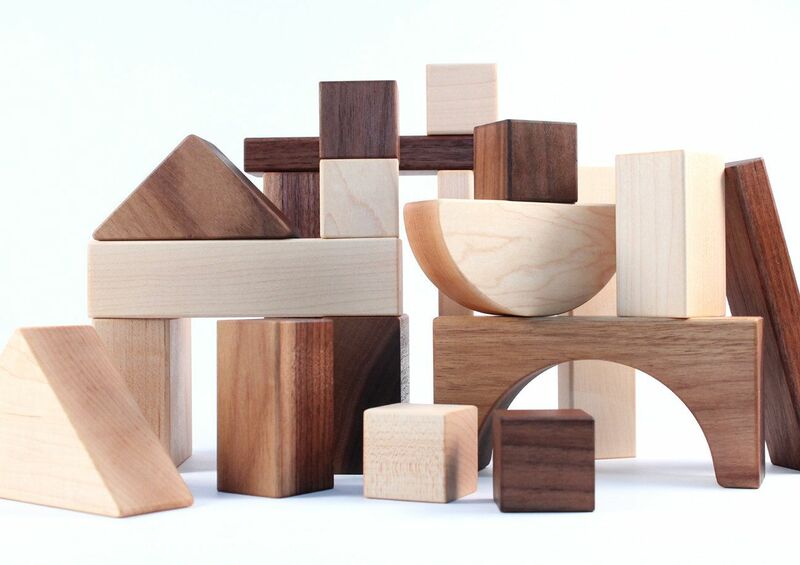 Who knew that rocking grown-up building blocks on your feet could look so chic? 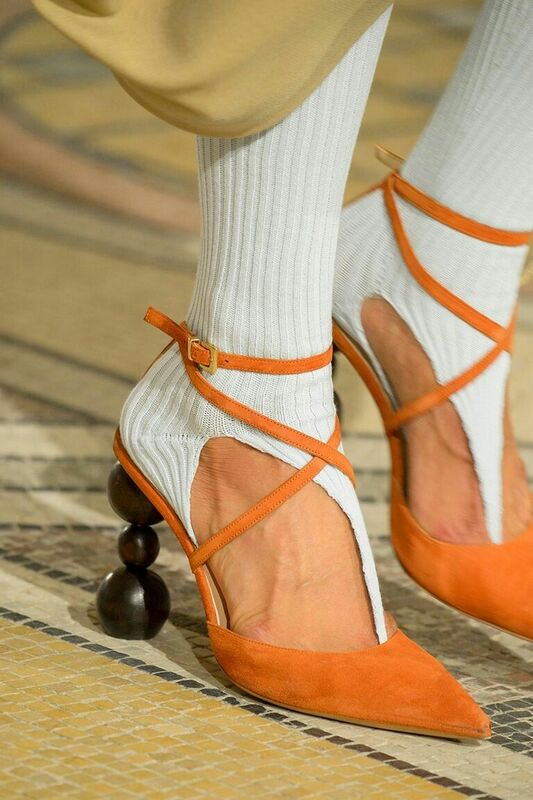 Beloved for his contagious energy and offbeat inventiveness, French designer Simon Porte Jacquemus is no stranger to elevating footwear to new heights. With his Autumn-Winter 2018 ready-to-wear collection, the creative darling took us all on a Moroccan journey with earthy-toned sculptural heels. Featuring a dark tiered prismatic wooden heel, these pointy-toed suede pumps served as a sharp counterbalance to effortlessly chic knits, fluid tunics, and draped dresses. 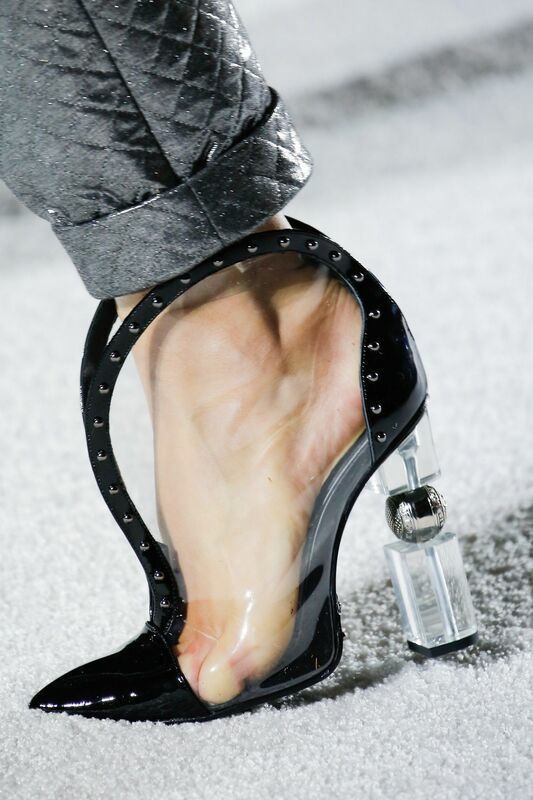 Lucite heels are still in y’all! But unlike the barely-there iterations born from last year’s naked shoe trend, bold shiny adornments are added to the mix for a ravishing tran-seasonal whirl. In keeping with Balmain’s glam-rock aesthetic, varicolored clear vinyl and patent leather uppers resting atop tiers of Perspex blocks and carved metal beads, will complement everything from your casual denim looks to your snazzier ensembles. Neous Creative directors Alan Buanne and Vanissa Antonious have cited contemporary art and mid-century modern architecture as the preeminent influences behind their minimalist footwear brand. Handcrafted in Italy from smooth calfskin, the strappy Gia sandal sits atop a hand-carved wood and clear Perspex-spliced sculptural heel. Offered in tan-black and black-white colorways. Established in 2013, Solace London is the design brainchild of longtime friends and collaborators Laura Taylor and Ryan Holliday-Stevens. Crafted from high-shine patent leather, the Diego ankle boot features the same contrast spherical heel from the label’s Spring 18 Sawyer mule. Offered in vibrant green, red, and black options, this chic Jane Jetson-approved rendition will bring a unique 60s utopianism sensibility to your Fall 2018 wardrobe. 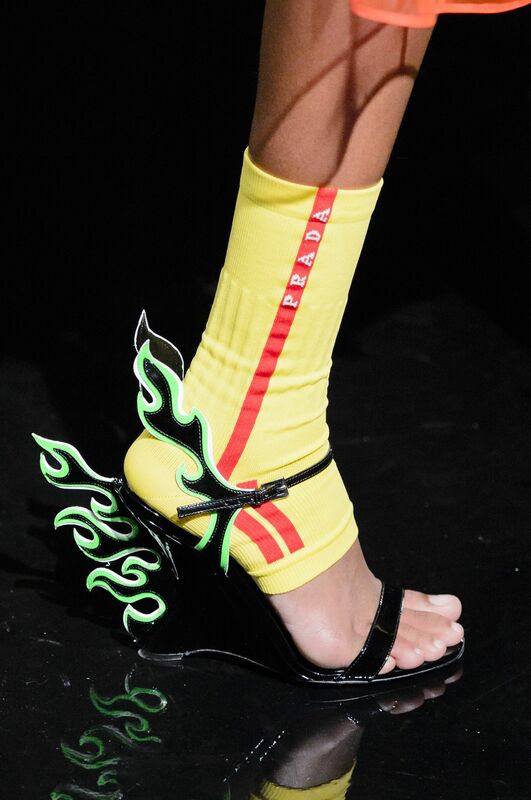 A revival of Prada’s Spring 2009 ‘flame’ heels, this season’s hottest (pun intended) sculptural heel flooded the Italian house’s Fall/Winter 2018-2019 runway to everybody’s excitement. Created from high-luster patent leather and intricately decorated with bold graphic blaze cut-outs, these brightly colored wedge sandals serve us a dose of ultra-luxe sportswear edge.